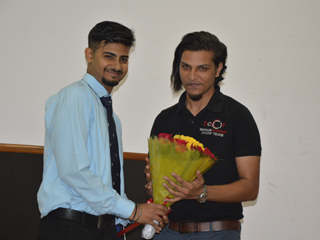 The SSO Photography Competition was conducted for PGDM batch of (2018-20) and managed by; Class representatives (CRs) on 13th Sept 2018. 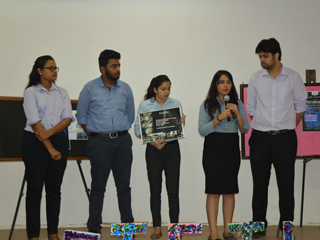 The theme of the event was to show case the hard work and efforts that students had put in during the 8 week SSO field projects. 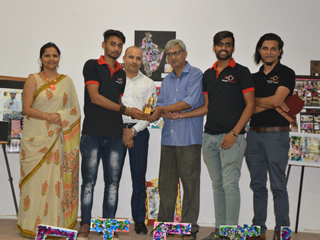 The judges were Mr. Abhimanyu Pandey from Delhi College of Photography, Dr. Avijit Chakravarti, SSO Faculty and Dr. Bhupender Kumar Som, Dean PGDM–IB. In all, 21 teams competed with each other and presented the posters they had prepared along with a short narration mentioning about the contribution made in their respective NGOs. All the teams had prepared exquisite photographic posters and the competition was very edgy & strong. Finally winners were awarded with a Trophy and gift along with the certificates. The winners were Team Khwaab – 1st position, Team Pahal – 2nd position and Team Ritanjali- 3rd position. 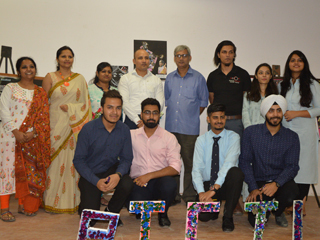 It was a good opportunity provided to the organising team to explore and enhance their skills by organising an event and for the participants to showcase their their learnings through photography .